I want to take a look at a couple of interesting announcements that came out of the world of sports yesterday, both involving guys named Ryan: Rex Ryan of the New York Jets, and Ryan Braun of the Milwaukee Brewers. 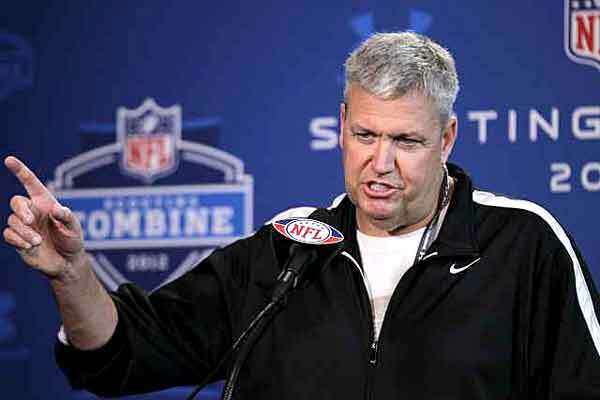 Calling last year’s guarantee of a Super Bowl victory a “huge mistake,” New York Jets head coach Rex Ryan refused to make a similar boast to reporters yesterday at this year’s NFL Scouting Combine. The fact that the combine is traditionally held in Indianapolis – the city in which Ryan’s cross-stadium rivals, the New York Football Giants, won Super Bowl XLVI over the Jets’ divisional rival, the New England Patriots – surely had nothing to do with Ryan’s newfound humility. Granted, it’s not like Ryan came out of nowhere with his boast: The Jets had fallen short of the big game, losing in the AFC championship match in the previous two seasons. However, despite Ryan’s best intentions to motivate his squad, the Jets finished 8-8, missing the playoff entirely. I would just like to tell Rex to take his time, build a solid team, and help the Jets meet the Giants at the New Meadowlands Stadium (that insurance corporation has paid me to call the stadium by its corporate name) in 2014 for Super Bowl XLVIII – the first all home-team match-up! 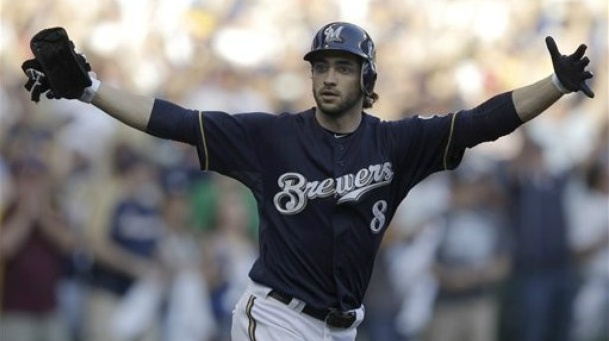 Turning to baseball, there was another Ryan press conference on Thursday – this one in Phoenix, where reigning National League MVP Ryan Braun of the Milwaukee Brewers summoned the media to declare that the truth had prevailed, and crowned himself the victor after an arbitrator overturned a 50-game suspension following a positive urine test last season for banned substances. According to reports, a urine sample collected on Oct. 1, 2011, was not delivered to the testing facility until Oct. 3, violating baseball’s same-day delivery rule. Braun said the 44-hour delay (during which the sample was kept refrigerated by the league representative) rendered the test “fatally flawed.” Apparently, the arbitrator agreed, but his written opinion on the case has not been released. Okay, the guy certainly deserves to have truthful results from his urine test, but I’m at a loss to figure out how sitting in a fridge can cause pee to spontaneously develop high concentrations of synthetic testosterone. Surely the fact that Braun plays for the Brewers, which are owned by Commissioner Bud Selig, had absolutely nothing at all to do with the reversal. Major League Baseball is scrupulously honest, and Selig has been beyond reproach as commissioner. There was simply a breakdown somewhere in the process. Braun stopped short of saying the sample was deliberately tampered with, so if no one dosed the sample, then how did the test turn out as it did? Arbitrator Shyam Das has 30 days to issue a written report, so we’ll have to wait until then to learn what the thinking was. Until then, it appears that the positive result still stands, because the only thing Das announced yesterday was that the 50-game ban was thrown out. This entry was posted in MLB, NFL, Sports and tagged Bud Selig, Milwaukee Brewers, New York Jets, postaday2012, Rex Ryan, Ryan Braun. Bookmark the permalink. Star Trek 2: First Photos!